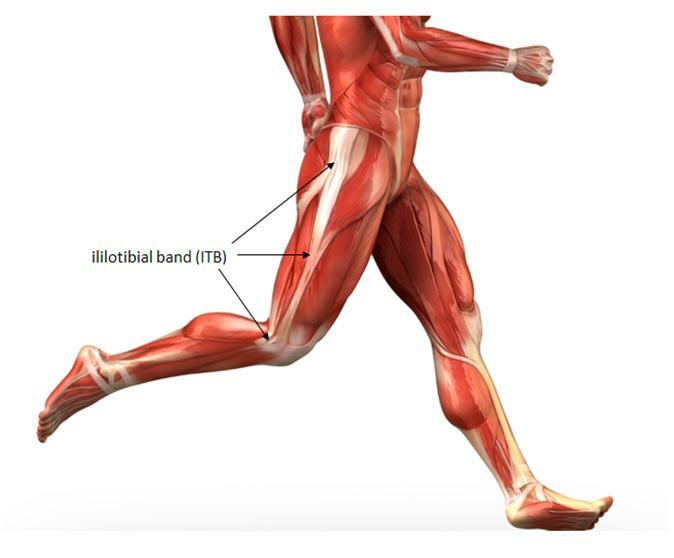 liotibial Band Syndrome (ITBS) is one of the most common overuse injuries among runners — and it is an injury that I have been suffering from ever since running my last half marathon. How do you identify the symptoms of ITBS? The most noticeable symptom of ITBS is typically the swelling and sharp pain on the outside of the knee, which as a result many runners will mistakenly think they have knee injury. The best way to test if you have ITBS is to bend your knee at a 45-degree angle and if you have an IT band problem you will feel the pain on the outside portion of your knee. What type of injury is ITBS? Technically, IT band syndrome is an overuse injury; however, this is kind of a misleading classification since there are usually other factors that contribute towards the injury — but approaching IT band syndrome as an overuse injury is an important step towards recover. After icing the side of your knee and resting (yes, that means not running!) for a few days, you may need to change up your training regime. Sometimes this can be as easy as avoiding repetition — try changing your running route or getting away from the treadmill or track for a jog outside. If you normally run outside try going indoors and running on the treadmill for a while. If getting in shape or building up your endurance is your goal, try some cross-training while you slowly ramp up your mileage. What are the common causes or ITBS? IT band syndrome can result from any activity that causes the leg to turn inward repeatedly. This can include wearing worn-out shoes (or the wrong type of shoes), running downhill or on banked surfaces, running to many track workouts in the same direction, or simply running too many miles. Unlike other runners injuries — the IT band pain that runners experience will affect seasoned runners almost as much as it affects beginning runners. IT band syndrome is also more common in women than it is in men — possibly because some women’s hips tilt in a way that causes their knees to turn inwards. How do I treat ITBS? Even though we runners try hard to avoid injury — they happen. It is a fact of life as a runner! (Bummer, I know!) Once you notice you are experiencing IT band pain the best way to get rid of the pain for good is to rest immediately — something that runners (both seasoned and beginners) rarely like to hear. That means you need to run fewer miles or if the pain is bad enough — no running at all. (I took almost three weeks off from running after my last half marathon, and when I began running earlier this week I am still experiencing IT band pain after going over 3 miles.) I know how hard it can be to take it easy when trying to train for an upcoming race! I have a 10k in two weeks and I am debating whether or not I should race or pull myself. If you do not give yourself a break from running and let your IT band repair — ITBS can become chronic. Stretches focused on working the IT band will also help — as will treating the side of the knee with ice and/or a heating pad. If your IT band problem does not getting better after several weeks you should seek help from a sports medicine professional. Prevention is always the best medicine!! I am a firm believer that prevention is always the best medicine. As a runner we are constantly trying to do everything we can to prevent as many injuries as possible. The most important thing you can do – If you begin to feel any pain on the outside portion of your knee(s) is immediately decrease your mileage or take a few days off. Walk at least a 1/4 of a mile to ensure you have a good warm-up in before you start your runs. Make sure you are wearing the proper shoes and ensure that your shoes are not worn out along the outside of the sole. If either of these of happening, replace your shoes immediately! Try to run in the middle of the road where it is flat. To do this safely you will need to find roads with little to no traffic on them and roads that have excellent visibility. Sidewalks are often tilted or uneven so try to avoid sidewalks unless necessary. Avoid running on concrete or hard surfaces. If you are running on a track — make sure you are changing directions constantly! !